These rules are subject to change at any time. It is the teams and/or players responsibility to read all rules prior to each tournament. We will not be forfeiting teams for having the SILENT PLANT setting incorrect. As this in-game feature is bugged and acts the same way whether the setting is ENABLED or DISABLED. Once this setting is fixed within the game, we will alter this ruling and return back to normal procedures regarding wrong settings. 2. Players may only use the default version of each weapon. Use of any weapon variant that has been statistically rebalanced or any other restricted item may result in a forfeit of the map/match. 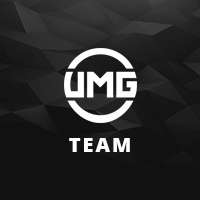 Players must be 13 years of age or older to compete in UMG Online tournaments. There will be no exceptions. Players found to be competing in tournaments under the age of 13 are subject to disqualification from the tournament and will receive their entry fee back.